Situation: the Firefly now has a different Rotax 277 on it, 2.58:1 reduction and a 62" two blade Ivoprop. Engine runs great, all the numbers are good, but it won't stay stable on the pipe. It will run stabily at 5700 or above, but as soon as you retard the throttle even a little, it slowly reduces the rpm's to 4700 and then stabilizes. Give it a hair of throttle and it begins to slowly increase rpm and stabilizes again back at at 5700. Years ago I had a Rotax 532 on my MKIII that would do the same thing because it was overpropped with a three blade 64" Ivo. Removed one of the blades and it would then stabilize pretty well at most any rpm. 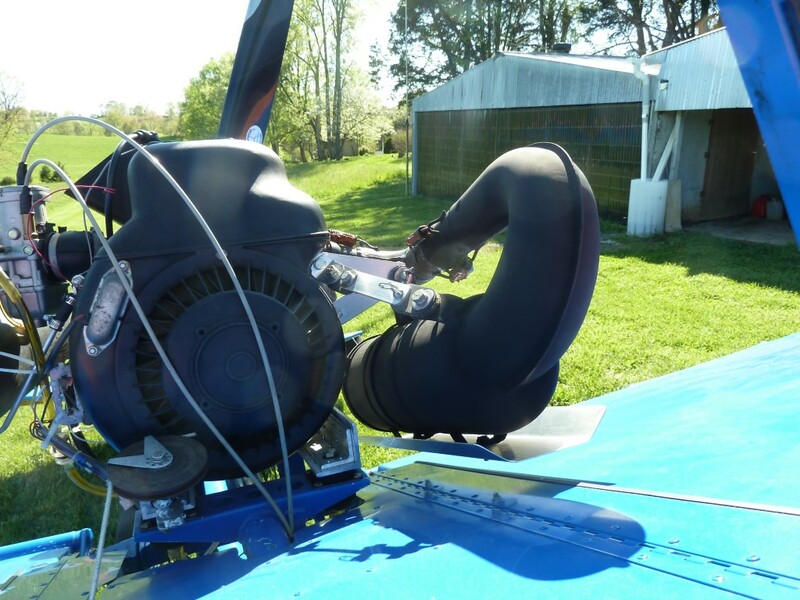 So the question is this - anyone else have a similar experience with a 2-stroke engine that kept falling off/climbing back up the pipe, and if so, did you cure it by reducing the prop length/prop load? I would like some confirmation/reassurance/feedback before I start shortening the prop. Is the exhaust a stock 277 exhaust pipe? If not, an improper taper in the tuned section could be the cause. Well, yes and no, I am starting to think no. 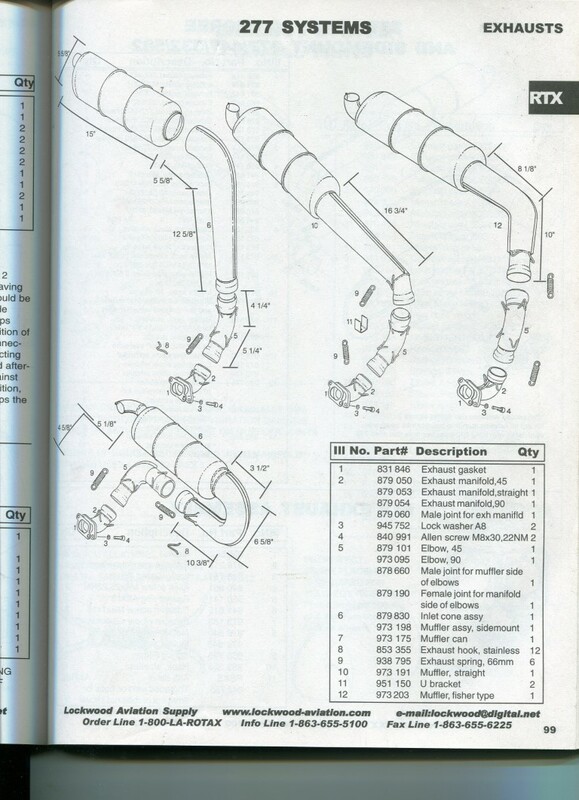 The original pipe was a curlyque like the one in the bottom left of the attachment, but we wanted to try something to reduce the engine vibration, and I found a supplier of tapered cones for people who are fabricating their own exhausts and headers. Short version; got a cone that was exactly the right taper and diameter at both the top and bottom when cut to the length as referenced according to the top center pipe in the catalog. 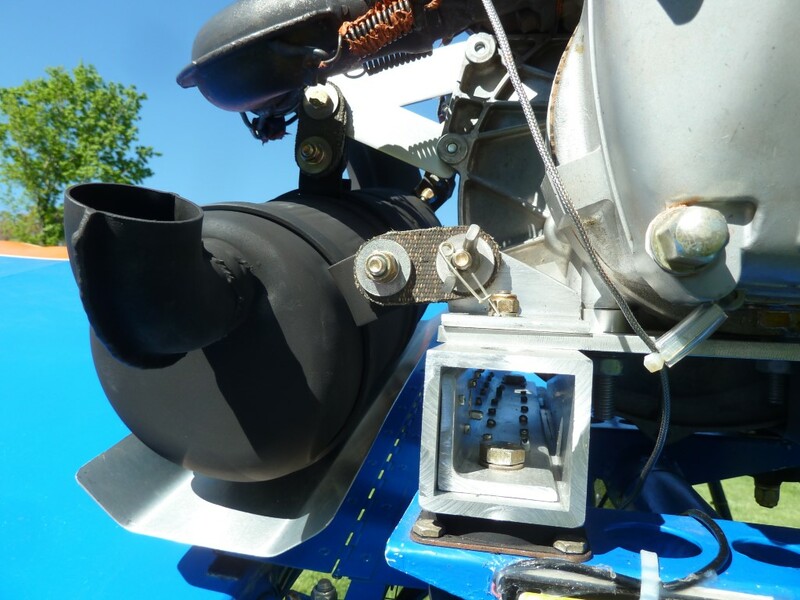 At 16 3/4" long, the top diameter where it welds to the can is the same as the diameter of the opening in the can. The diameter at the bottom (small end) is the same as the diameter of the 879-190 female joint connection. Consequently I would have bet money that the straight section would be identical to a stock Rotax pipe with that configuration, but I am starting to think it is not. Since we are running a 62" two blade IVO, it seemed possible we are overpropped, However I flew it twice more today each time taking out pitch, to the point that you can't even give it full throttle or it will overspeed, and that was not helpful, so I think I will assume it is not overpropped. I think I weld the original curleyque pipe back on and see if it runs properly. If that issue gets fixed, then I'll worry about the vibration. Or sell it and get a different engine. I once removed the exhaust system from a Rotax 447, sent it out for refinishing of the exterior. It was sand blasted and plated with a ceramic product. When it was returned to me, I could hear what sounded like pieces of sand inside the muffler if it was turned over or shaken. Tried blowing and vacuuming it out to no avail. Assembled it onto the 447 and went flying. I had not changed anything other than the exhaust refinishing. However, the 447 acted pretty much just like what you described. It would not hold a steady RPM. I thought incorrectly that the sand pieces were maybe to blame. 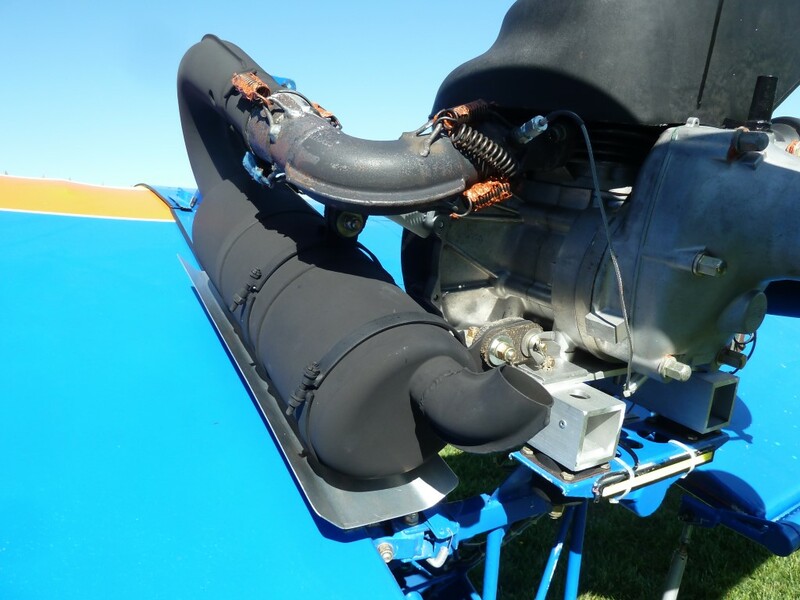 Although the plane had set for several weeks, I assumed the tuning of the carb should still be OK. BUT, because I didn't really know what else to do, I changed the needle position. I can't recall which way it was moved (up or down) but the next flight resulted in a proper running engine that would hold the RPM selected. Maybe the temperature had changed requiring the needle to be re-positioned. All of this was years ago, I got older and can't recall all the details. I think we are back on track, new muffler installation, flew it six times this evening, the vibration is gone. So we are half way home. Also came to the conclusion that the prop is too long and the engine is too loaded down. As long as you keep the Firefly in a shallow descent, the engine does not hunt at all, it stays at a constant throttle setting. Raise the nose and load up the prop and it falls off the pipe. So now we need to learn what is a good length of prop for a 277 with a 2.58:1 gearbox. Richard, I've lost the part of this thread where you said what the 277 is propped at now. Can you measure the pitch? I've got a couple of props around here I can loan you if we can get close. Sorry to change the subject but I see a white strip on the back of the Kolb part of the motor mount. What is it.